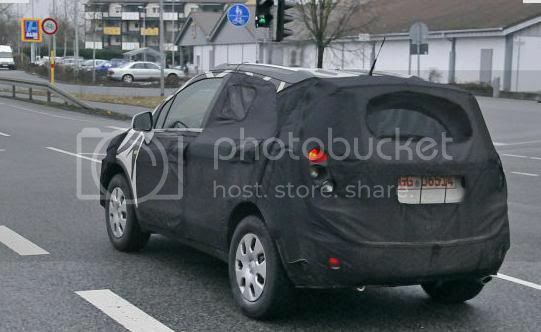 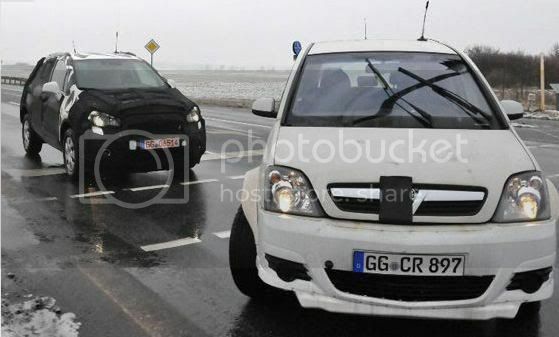 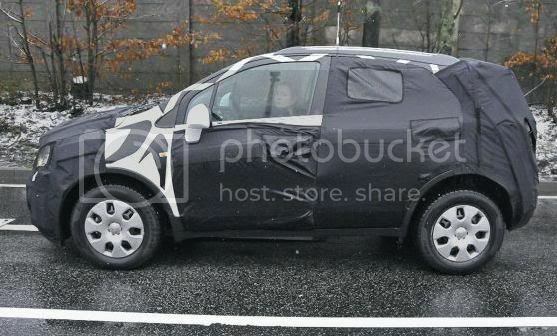 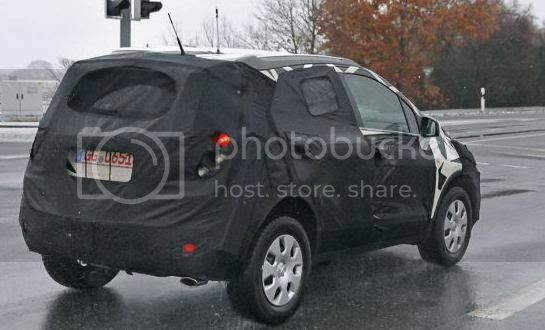 GM has been testing their all-new sub-compact SUV since 2008, and this is the first time we’ve seen a genuine prototype. 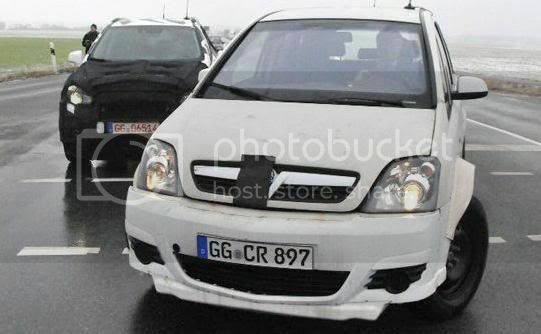 Previous mules were based upon jacked-up Corsa’s and modified Meriva’s. 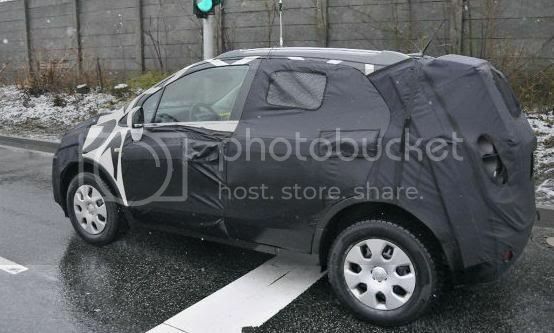 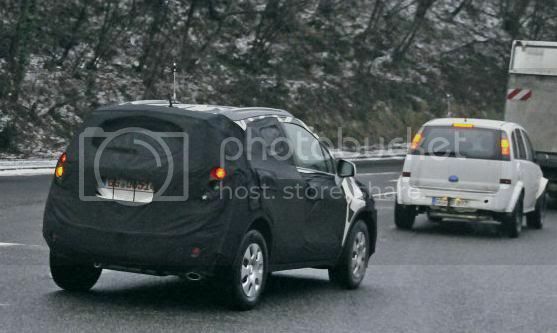 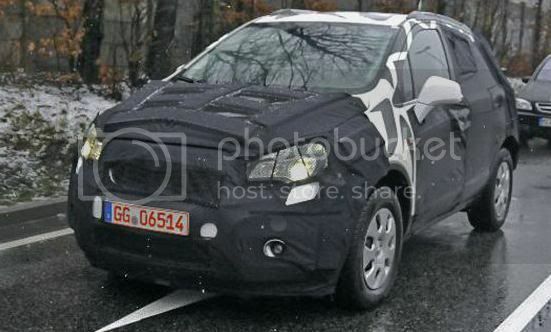 Predictably, the newcomer will sit beneath the compact Antara SUV when it goes on sale in 2012. 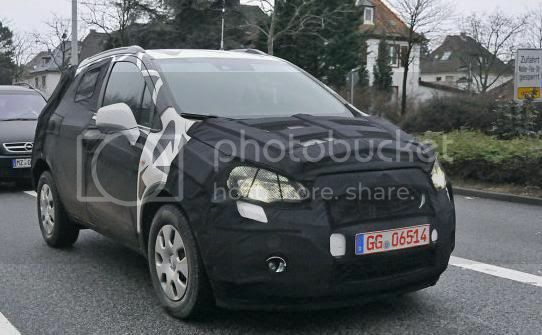 Working with Vauxhall/Opel is Chevrolet, so the vehicle is being co-developed with GM Daewoo Auto & Technology Co (GM DAT) in South Korea. 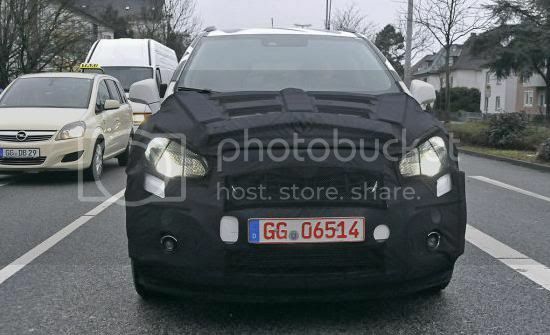 While powertrains are unknown, a 1.4 litre turbocharged petrol engine, producing 138bhp (140PS/103kW) and 200Nm (148lb-ft) of torque, is possible, that will be linked to a 6 speed manual gearbox. 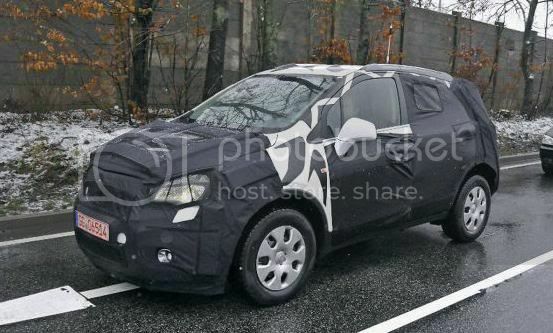 GM has promised the new model will have genuine off-road capability to compete with the Suzuki SX4, Fiat Sedici, and Toyota Urban Cruiser.